American-made Black Eagle Tomahawk Axes are designed for sportsmen and military professionals. The lightweight design makes it easy to carry and with Estwing's Shock Reduction Grip for comfort and durability. Black Eagle tools are perfectly balanced and weighted, and made to last. American forged in one piece out of genuine American steel. These tools have the world famous and patented Estwing Shock Reduction Grip. The grip which reduces vibration up to 70% is bonded on and will not come off. 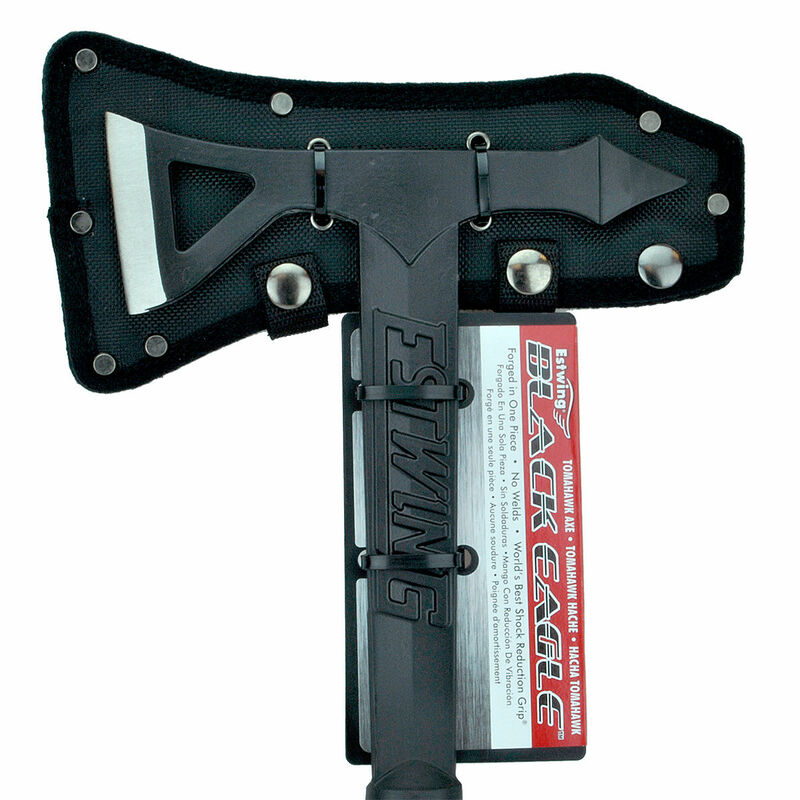 This Tomahawk style axe is perfect for cutting, trenching, digging and excavation.